Trying to get fit means you’re pushing your body’s physical limits for muscle tone and fat loss balanced with exercise, rest and proper nourishment from food and adequate hydration. Getting fit takes hard work, dedication and the right balance of increasing time and intensity for exercise without causing injury or burnout. Focusing on exercise along with proper fuel is needed to get fit fast. Eating foods that are high in nutrients like antioxidants, vitamins, minerals and fiber mean you are getting more than just empty calories. Getting fit means you are not following a weight loss fad but you are trying to fuel your muscles for growth and limit fat mass accumulation. This means balancing meals and snacks that have carbohydrates to feed your muscles, fiber, protein and healthy fats. Instead of focusing on what you have to eliminate for your fitness goals, focus on how you can incorporate high nutrient foods like lean proteins, legumes, whole grains, fruits and vegetables into your eating habits. The key is getting a variety of foods; try eating a variety of colors and types of proteins, grains, etc. for the ultimate health benefit. Following a Mediterranean based eating plan, which is higher in olive oil, is associated with many health benefits and may even help you live longer. Olive oil is rich in heart healthy monounsaturated fat, omega 3 fatty acids and antioxidants. A 2015 study (1) even found higher olive oil intake is associated with slightly lowering risk for type 2 diabetes. 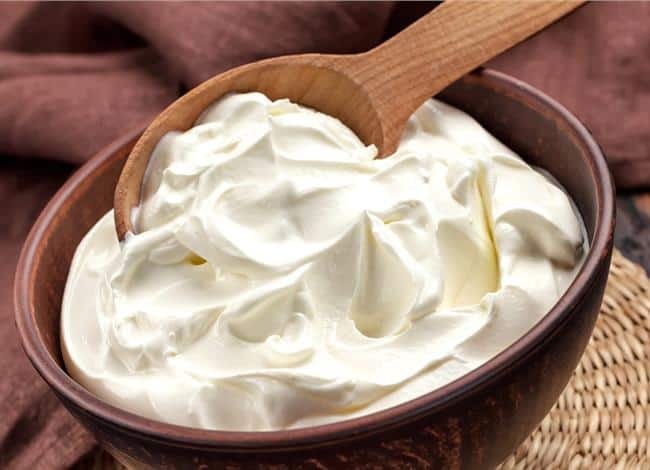 Substituting olive oil in place of other fats, like butter or margarine is recommended. A 2016 study (2) found daily consumption of olive oil helped those who were obese with type 2 diabetes lower inflammatory markers in the blood. When shopping for olive oil, look for extra virgin olive oil. 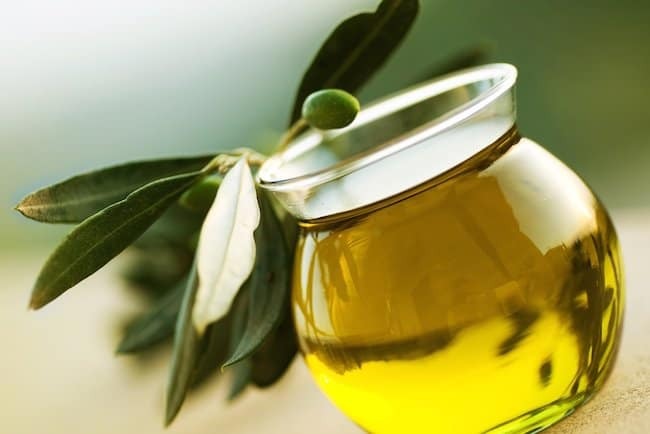 This means the oil is from the first press of the olive and is considered to have the richest health benefits. Don’t avoid fats as you are trying to get fit. Eating healthy fats is important for overall health, satiety and to absorb fat soluble nutrients. 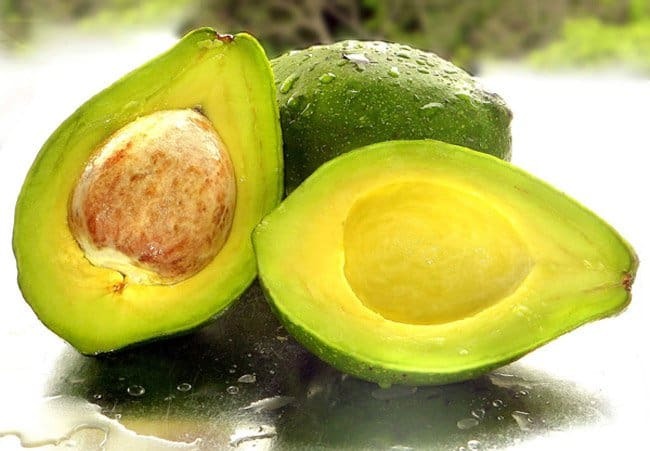 Besides olive oil, another healthy fat choice while trying to get fit is avocado. Avocados are also a rich source of monounsaturated fats, and they also provide a source of fiber, potassium, magnesium and antioxidants. Generally a fifth of an avocado is considered a serving, but most people eat about half of an avocado in a sitting (3). Pairing about a half of an avocado with a lean protein source with other high fiber carbohydrate sources can provide a well-balanced, high nutrient meal. A 2013 study (4) looking at food intake for over 17,000 adults found people with higher avocado consumption had higher intakes of vegetables, fruit and better diet quality over all. Researchers also found people who had higher consumption of avocados had lower BMI, waist circumference and higher HDL cholesterol. Avocado intake was also associated with a lowered risk for metabolic syndrome. About one third of American adults can have metabolic syndrome (5) which is a condition that includes at least three of the following: high blood pressure, high triglycerides, low HDL cholesterol, a large waistline and high blood sugar. Although the recommendation is to eat fatty fish about twice a week, most people following a Western style diet don’t meet the recommendation. Fish like salmon are high in heart healthy omega 3 fatty acids. 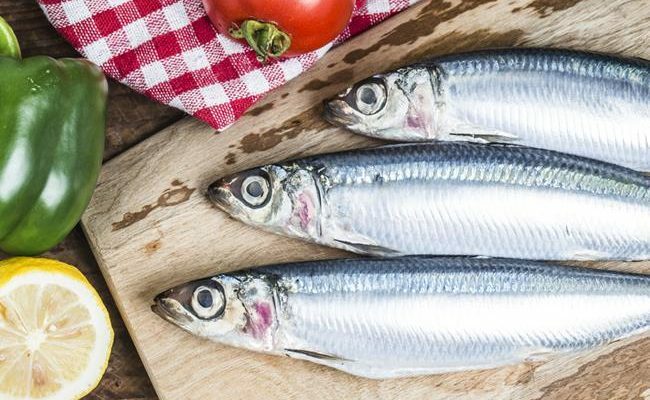 Omega 3’s have been shown to have other health benefits too like possibly helping lowering risk for arrhythmias, heart disease or Alzheimer’s. Foods high in omega 3’s, like salmon, can also be helpful for people who are trying to get fit by boosting their exercise levels. Exercise can actually increase oxidative stress and inflammation. 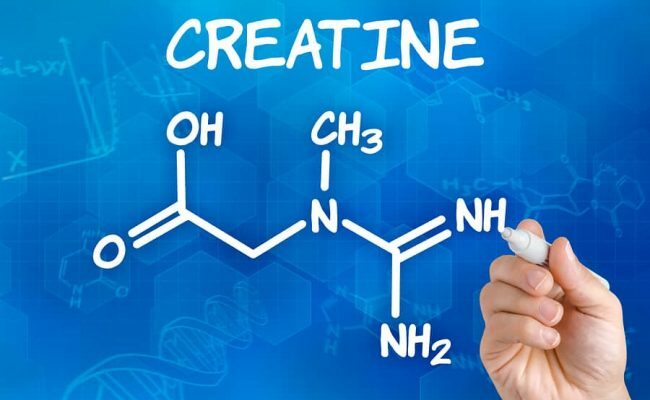 Therefore, athletes may benefit even more from eating foods high in omega 3’s. While research (6) around omega 3 supplementation, inflammation with exercise and lowering risk for some diseases has some mixed results, boosting intake naturally of omega 3’s is recommended. 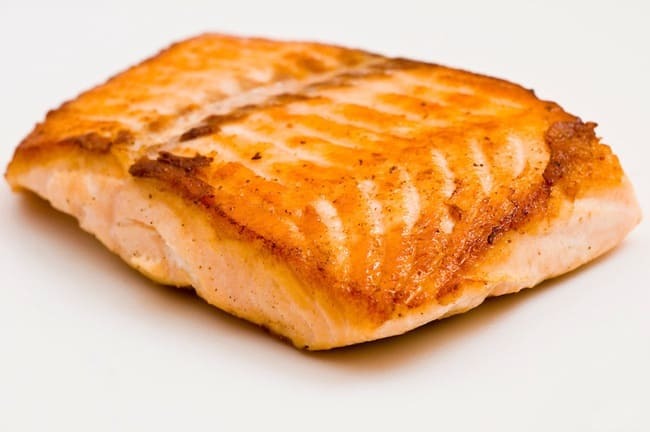 Wild caught salmon is one of the higher food choices for omega 3’s, and a bonus with fish is it is also high in protein. 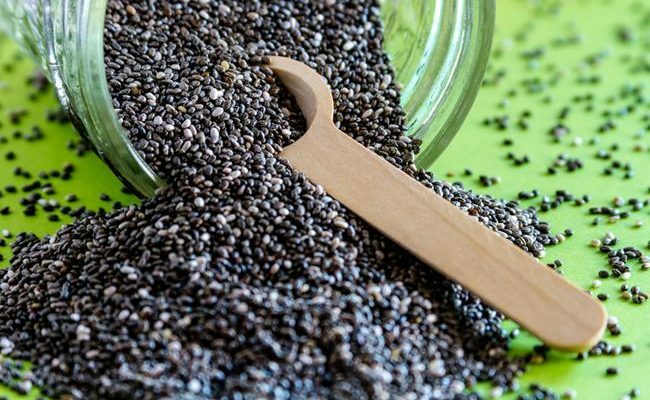 If you can’t stomach eating salmon or afford to be higher quality fish, other sources of omega 3’s include chia seeds, flaxseeds, walnuts and grass fed meats. Adding sweet potatoes after a long, hard workout can help restore muscle glycogen levels. 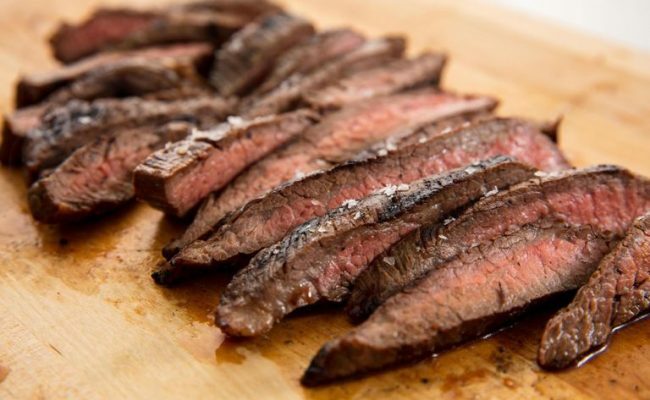 Cutting out all carbs may work for a quick fad diet, but if you are bumping up your workouts along with trimming your food intake, keeping healthy carbohydrate sources in your diet can be helpful to repair muscles after long workouts. 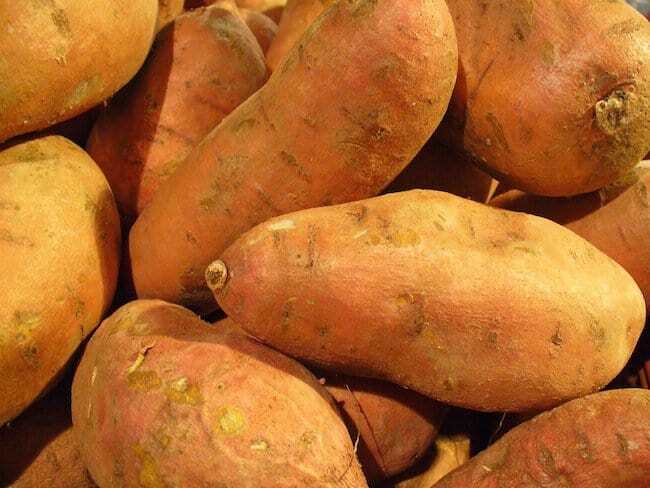 Sweet potatoes are rich in potassium and beta carotene, a precursor for vitamin A. Getting enough daily potassium is important for fluid balance, muscle contraction and sending nerve impulses. Getting enough potassium can also help keep blood pressure at healthy levels. Unfortunately, most Americans do not get enough daily potassium. A cup of diced sweet potatoes provides about 450 mg of potassium or 12% Daily Value (DV). This amount also provides over 300% DV of vitamin A.
Pairing sweet potato with a protein and healthy fat can make a complete nutrient dense meal. For example, pair a sweet potato with a serving of salmon and broccoli for a healthy dinner or lunch after a workout. Broccoli and Brussel sprouts go together because they are both cruciferous vegetables. In fact, cauliflower, cabbage, kale, bok choy and turnips are other examples of cruciferous vegetables. These vegetables are lumped together because they all have a sulfur containing compound called glucosinolates (7). Once these glucosinolates are broken down in the body, they have a powerful effect on the body from protecting against carcinogens. In fact, some research suggests there is an inverse association between cruciferous vegetable intake and risk for some cancers. 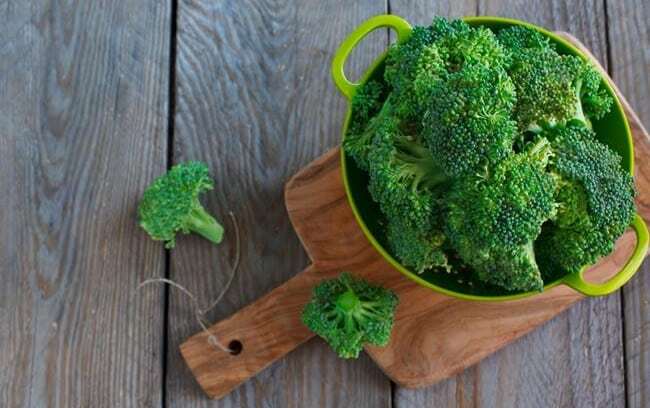 Other nutrients from cruciferous vegetables include: potassium, vitamin C, selenium, antioxidants and fiber. Try getting a variety of cruciferous vegetables in your diet for the greatest benefit and so you don’t get bored with what you’re eating. Many weight loss programs consider leafy greens as a “free” food and for good reason. 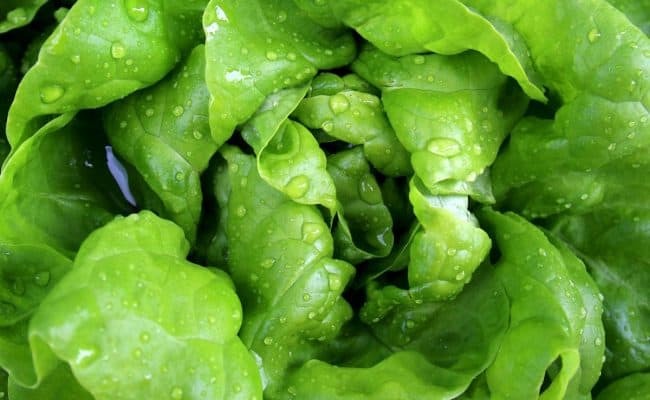 Leafy greens are virtually calorie free and full of nutrients. 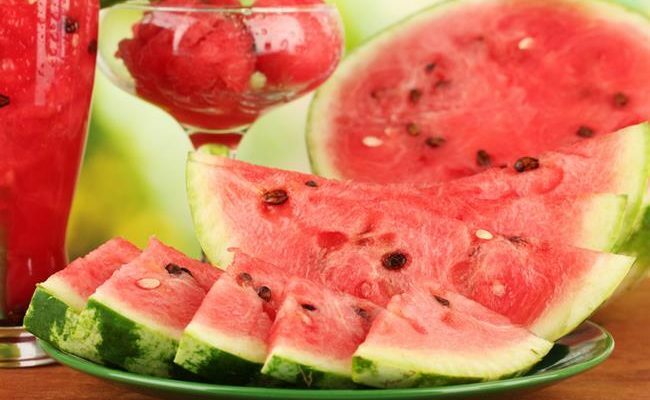 They are also high in fiber which aids in helping you stay fuller after eating. 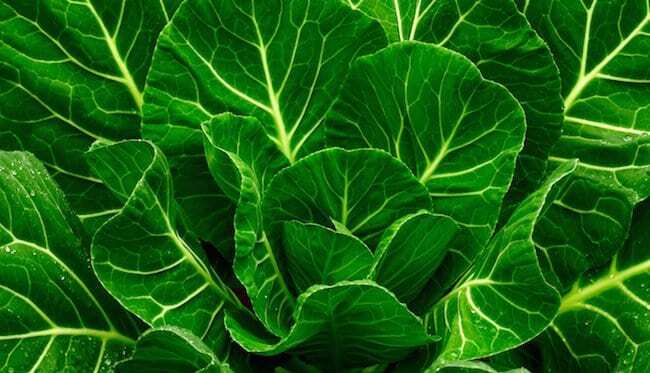 Another often overlooked health benefit of leafy greens is they are a source of calcium. This can be significant for people who are lactose intolerant or are following a vegan diet. If you are bumping up your exercise to try to get fit fast, it’s important to get enough bone building nutrients throughout the process. If trying to get fit fast makes you think of constantly eating salads, think outside the box with how to get more leafy greens in. Salads are a great choice, but you can also get a dose of leafy greens by adding them to smoothies, soups, stir fries or omelets. Like leafy greens, berries are a powerhouse for nutrients. They are high in fiber, antioxidants, potassium, B vitamins, vitamin C and contain small amounts of magnesium, iron and calcium. One of the main polyphenols in berries is anthocyanin. Anthocyanins are what give the deep colors to berries. Researchers are continuing to uncover all the ways anthocyanins, and other plant polyphenols, impact human health. Some research has shown that anthocyanins may play a role in lowering risk for obesity and diabetes. A 2016 research article (8) suggests anthocyanins have shown anti-obesity properties in previous studies. When mice were fad a high fat diet in one study with anthocyanins, body fat accumulation was suppressed in the mice. 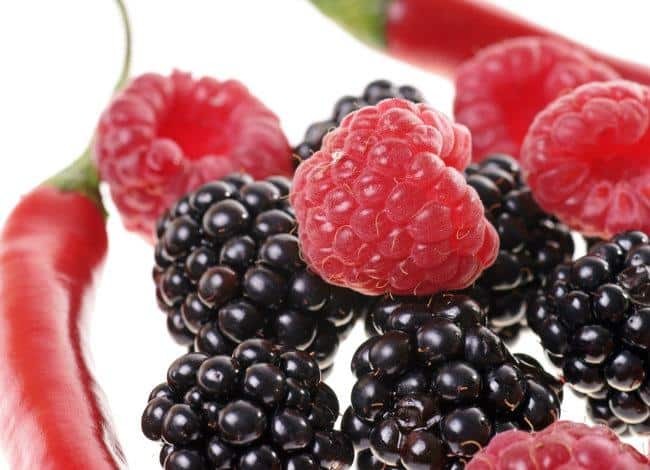 According to Michigan State University Extension (9), eating berries may help improve insulin and blood sugar balance in people with type 2 diabetes. A 2013 study (10) with over 2,000 men concluded eating berries may help lower risk for type 2 diabetes. Sweets are often cut out when trying to get fit fast. 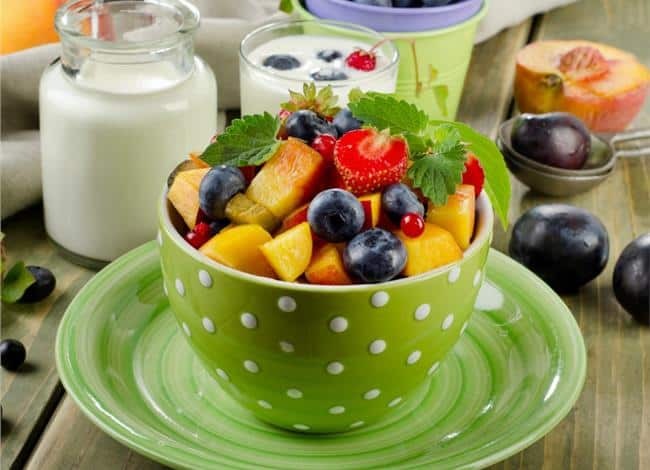 Eating fruit in place of other sweets can be a healthier alternative to sweet tooth cravings while trying to get fit. Eating berries as a dessert of as a sweetener can still give you the sweet taste but also provides many other health benefits. Most people would not think eating a food naturally higher in calories or fat would be on a list for foods that can help you get fit fast. However, nuts may just do that even though they are more calorically dense. It turns out people who eat nuts in moderation, about an ounce a day, doesn’t increase risk for weight gain (11). In fact, according to a 2013 study (12) eating nuts, instead of something like pretzels, as part of a reduced calorie diet may help with weight loss. Even though nuts are higher in calories, after eating nuts you are more likely to feel satisfied which can lower food intake afterwards. 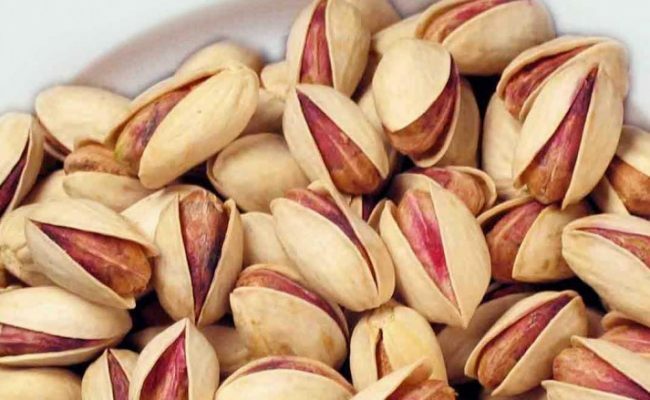 Researchers also think humans don’t absorb all the energy from nuts, which may be another reason why eating nuts hasn’t been associated with weight gain. Bananas can be a quick, easy go to snack before a workout. 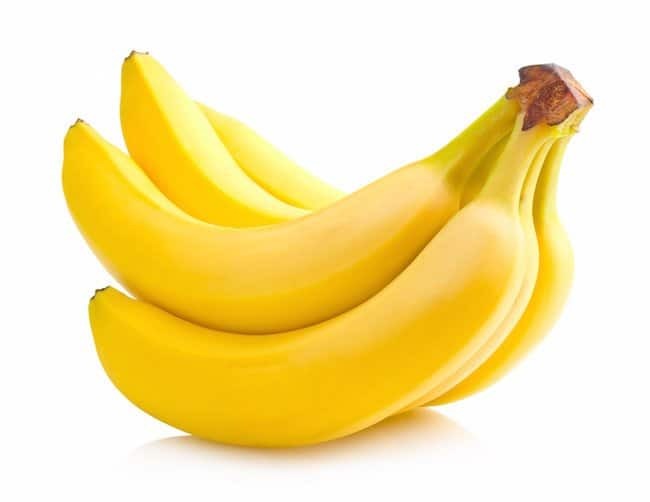 They are a quick carbohydrate fuel and also are a good source of potassium. Another bonus from bananas: they are easy on the digestive tract. 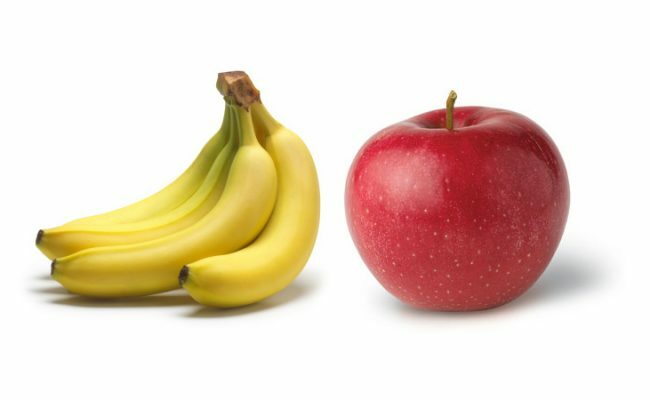 So, eating a banana before your run or exercise class will most likely not cause you gastric distress. Bananas are also a cheap food. Some sports supplement bars are expensive and full of added sugars. Eating a banana, even a nut butter and banana sandwich, can provide your body with enough, but not too much, energy for a workout. They can also be a healthy snack anytime of the day. Even though bananas get a bad rap of being high in carbohydrates, they also contain resistant starch. Foods with resistant starch may be helpful for weight loss and colon health. Like sweet potatoes, oats can be a staple in your diet for a low sugar carbohydrate source. A bonus about oats is they are a good fiber, protein, iron and magnesium source. Magnesium is an important nutrient needed for muscle function, blood pressure, nerve signaling, energy production and making new proteins (13). 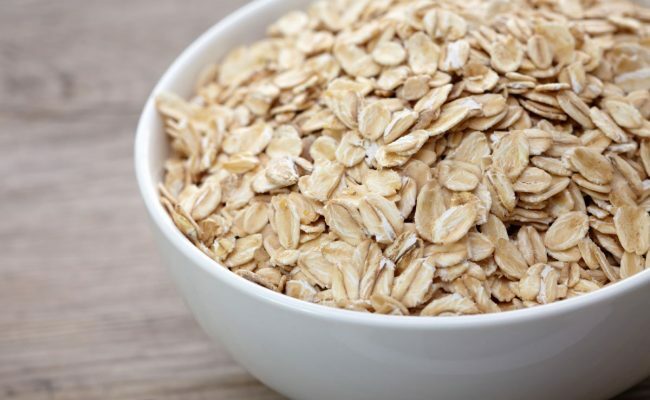 A half cup of oats provides about 35% DV of magnesium. Oats are a particularly good source of soluble fiber which can be beneficial for heart health and stabilizing blood sugar levels. 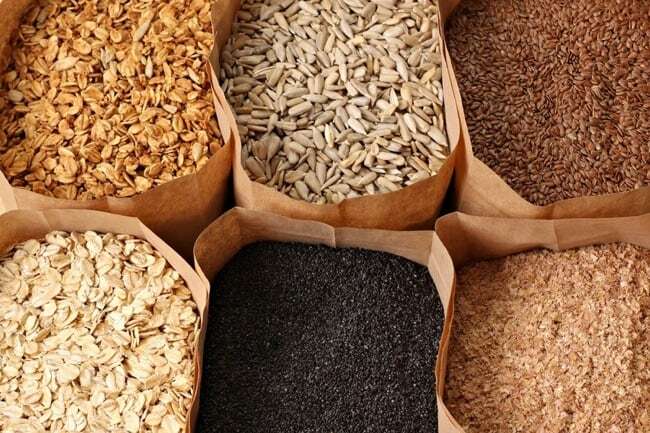 A half cup of oats provides about 8 grams total of fiber. It also provides about 13 grams of protein. 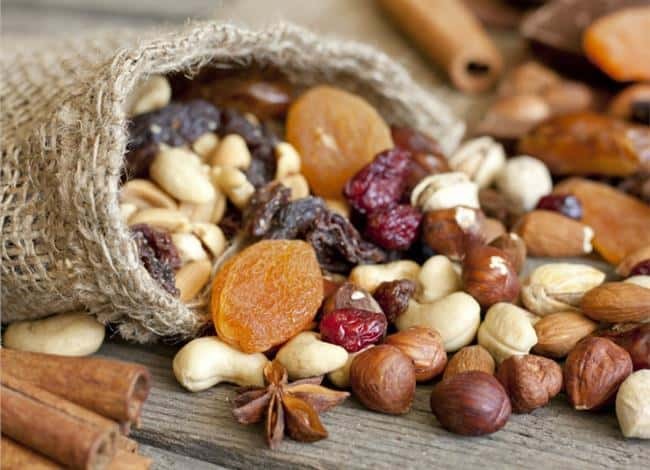 If you are not a fan of the way oats taste or the texture, add in some nuts, nut butter, protein powder, berries, dried fruit or other toppings. Oatmeal topped with some sort of nut/seed and fruit can be a healthy balanced meal. If you like dairy foods that may give you a benefit for trying to get fit fast. Some studies have shown eating dairy foods can help promote fat loss while keeping lean muscle. Dairy foods are particularly rich in branched chain amino acids which are known for helping promote muscle growth. Dairy foods are also a source of calcium, vitamin D, B vitamins, probiotics and phosphorus. A 2004 study (14) found when obese adults were placed on a reduced calorie diet that was high in dairy foods, they lost significantly more weight than the group on the standard diet and a group with a high calcium diet. This suggests there may be something more than just the calcium in dairy products that may help with fat loss. Researchers concluded increasing dairy significantly helped with fat loss in participants who were on a reduced calorie diet.